The ‘fire power’ of strong negative emotions can ruin relationships or it can serve to energize and cleanse old woundings. The ‘fire power’ of strong positive emotions can lead to intense desire and hasty decision making. During the past 26 years, our family and myself personally have gone through many “ups and downs, backwards and sideways”, including more than a few major traumas. We have become intimately aware of the sadness of depression, the restlessness of anxiety, the pain of losing loved ones, the devastation of addictions and…the healing fire of pain, anger and hurt transmuted into unconditional love and forgiveness. If one “googles” ‘goddess of fire”, we read about Pele, the Hawaiian goddess of fire, who is both a creator and destroyer; about Arani, the Hindu goddess of fire and sexual energy; about Freya and Aodh, Sekhmet and Vesta. In every ancient tradition, there is a goddess of fire. Consider these phrases: the fire of burning desire, a heart on fire, “the most powerful force on earth is a soul on fire”. Your “fire” is your internal life force. Fire can also show up as anger, or powerful “aggress energy” (as my friend Gina Dingwell refers to it). Anger can be amazingly energizing and cleansing if it is “purified” through a soft and loving heart, filled with forgiveness. 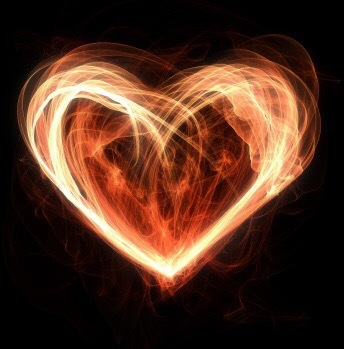 The qualities of wisdom, unconditional love, integrity and gentleness balance the amazing power of our internal fire and I find with many of my coaching clients, during a coaching conversation about fiery strong emotions, it helps to also bring in the balancing qualities of love and forgiveness. Keep this in mind as you consider your internal fire. As you build up your ‘fire’ through dance, living out your passions and creativity, remember to balance this through mindfulness, yoga, meditation, self reflection and journalling. 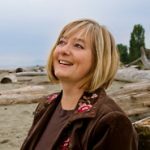 In your journalling if you are faced with making a decision … a life coaching tip is to run any decision through three questions: what does my head tell me, what does my heart tell me, what does my gut and body tell me. If you are drawn to exploring a living deeper in mindfulness, please consider yourself invited to join us in Yelapa, Mexico in February 2019 for the Mindful Self Compassion Training – Mexican Self Care Retreat. More information is avaiable on the training page. Previous ArticleOrdinary Moments: A Brene Brown Quote for Wise WomenNext ArticleEvery Day is a New Day to Start Fresh!